March 25, 2015 -- BIT Magazine Singapore, like Thailand, has a growing maker community. The small island nation already has had a long commitment to practical polytechnic education turning out a generation of professional designers of all kinds, from graphic and product designers, to interior and architectural designers. Many of Singapore's polytechnic schools have already long operated workshops that look much like today's makerspaces, complete with rapid prototyping equipment like CNC mills and even the early predecessors of today's 3D printers. Now, some of these shops are being opened to the public along with the appearance of independent makerspaces. There are also makerspaces popping up that cater solely to aspiring entrepreneurs and existing businesses. Singapore Makers is managed by SG Makers Association Ltd, a not-for-profit organisation that represent Makers in advocating ‘bottom-up’ creativity and inventiveness by promoting technical, scientific, and artistic skills through encouraging creative, inventive and cultural expressions in Singapore. In addition, we hope to establish best practice framework for an emerging creative industry that is technological-centric through a tripartite network of citizens, companies and the government. Under Makerspaces, Singapore Makers lists several spaces in Singapore. Each has a unique origin story and business model. Just like makerspaces in Thailand, each excels in a particular area. The first is the Prototyping Lab@National Design Centre by OMG. 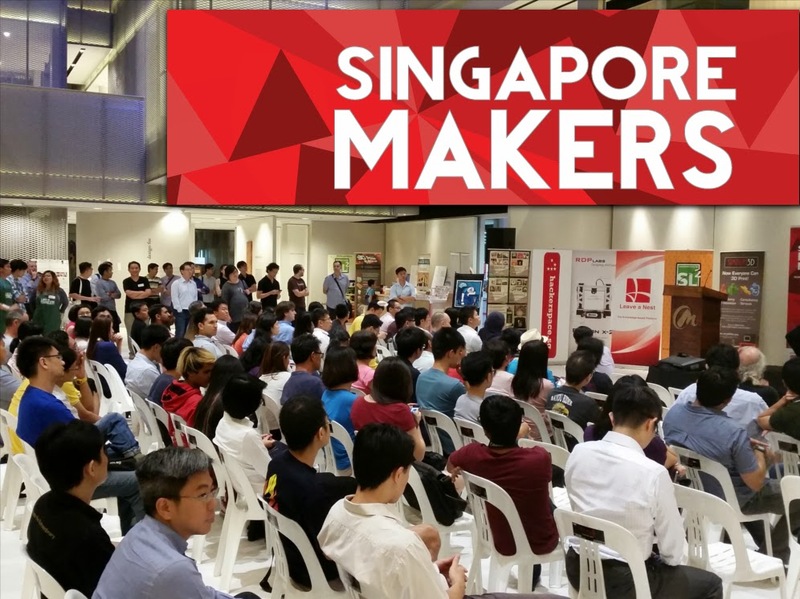 OMG, or One Maker Group, is the combination of 6 Singaporean companies focused on innovation and entrepreneurship. In addition to its core business alliance, they are backed by two governmental institutions, SPRING Singapore and the DesignSingapore Council. Their makerspace is open to both businesses and the community. It serves as a resource both for educational purposes and simply for enabling people to realize their concepts as actual physical prototypes. That OMG is backed by the Singaporean government makes sense considering the commitment Singapore has toward education and in particular, practical courses teaching skills required to maintain a modern, high-tech economy. In this light, we might view the Prototyping Lab as a new sort of educational institution. It has space dedicated to larger machines like CNC mills and laser cutters. It also has a 3D printing lab, electronics benches, classroom space, and a library. Classes on offer include an introduction to CNC fabrication, woodworking, working with cloth, an introduction to using laser machines, power tool use, and computer aided design for electronics. Included as a partner with OMG is the Sustainable Living Lab (SL2), which helps manage the Prototyping Lab, and maintains its own makerspace (the Sustainable Living Lab itself located at the Singapore Design Centre). 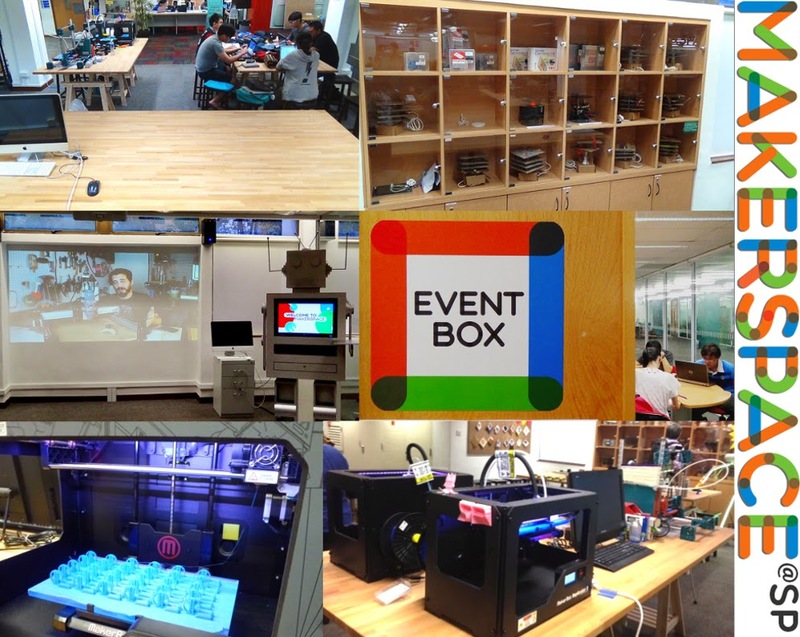 SL2 offers assistance to groups seeking to establish their own makerspaces, drawing on their own experience and resources gathered over the last several years. Built by and for geeks, nerds, inventors, engineers, and entrepreneurs, Hackerspace.SG is the Singapore hacker community's home, living room and laboratory. Come hang out with the community in the evenings. Co-work with us during the day. We also host regular events, meetups, presentations, workshops, and movie nights for the local community. Their focus varies and their agenda is guided by its members rather than a larger institutionally devised vision. This find of flexibility, among other things, is one of its strengths. [a] part of Home-Fix D.I.Y. Pte Ltd. Started during 2014, our goals is to provide the best DIY Platform for people to experience the true joy of making. With the Makers Movement, we hope more makers can design and produce great products that we can bring to our retail stores with the label 'Made In Singapore'. The idea of a retailer building up a local community of makers to line their shelves with goods is an interesting one. In the future, could each community have a maker collective lining local shelves with products and could this end up being a decentralized, distributed manufacturing model short-circuiting the global spanning supply chains seen still at work today? While XPC says it wants its products to say "Made In Singapore," readers should remember that Singapore is a tiny, tiny country and that the model XPC is working to build could be applied to provinces, even districts and sub-districts here in Thailand. The fact that Home-Fix oversees the workshops and production taking place at XPC ensures whatever is produced meets the demands Home-Fix sees in the markets. On a local level, it is possible that makers could assess such demand for themselves across their own communities. an innovation tribe in Southeast Asia that builds products, companies and communities and make seed investments. We are a better platform for designers, engineers and entrepreneurs to get together, be inspired, make things and start companies. With offices in Singapore, Ho Chi Minh City and Yangon, our team of over 50 people operate at the intersection of ideas, talent and capital, and invest in the convergence of design, hardware and software. 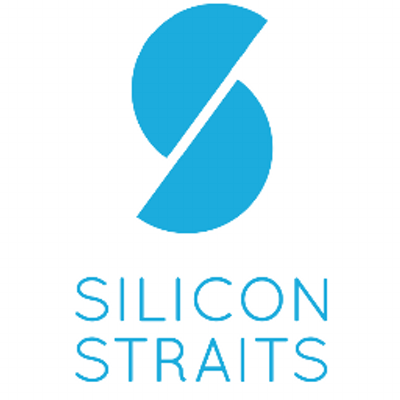 Silicon Straits is more business oriented than what we generally think of when we think makerspaces. It is a makerspace for businesses or people aspiring toward creating a business. But the diversity of all of Singapore's emerging makerspaces adds dimensions and capabilities to the entire community that no single business model or philosophy could on their own. This variety adds resilience to the movement, giving it a large pool of ideas and perspectives to draw from when overcoming challenges today and tomorrow. Though not on the list, it is a makerspace nonetheless in Singapore, opened in Singapore Polytechnic's Library and called simply Makerspace@SP. 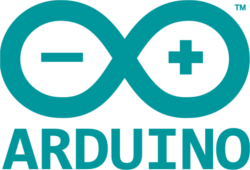 Its facilities include 3D printing services, tables for tinkering, electronics kits including many popular open-source boards for development, an event area, and more. It is open to the public, giving a wider variety of people access to the sort of facilities and environments polytechnic students have access to for turning concepts into creations. In many ways, such facilities are starting to function as a modern day, reimagination of the library for bits and atoms as much as traditional libraries have featured words bound in books. It is access to knowledge, but also with access to the tools to use it, share it, and shape it. 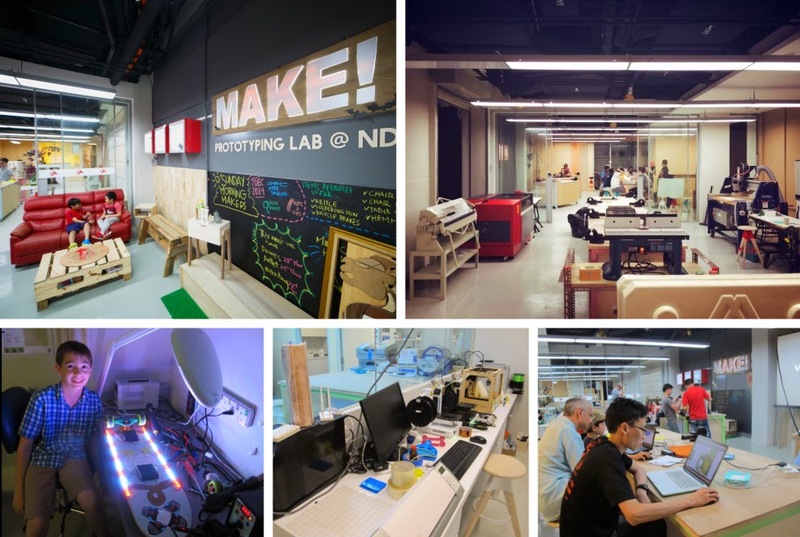 For Thailand's maker community, following the progress of other makerspaces outside of the country can be instructive despite the many differences between Thailand and say, Singapore. Ideas can be shared and adapted to meet the unique environments present in each country. Ideas for classes and workshops are easier to share and implement, while concepts like universities and other educational institutes tearing down some of the walls between themselves and their students, and the rest of the public might require more effort. Because of Singapore's proximity to Thailand, it is easier to look at their successes and failures and take them to heart than say in America or Europe. It is probably also going to be easier to link up with them and collaborate. A good first step is getting to know them a little better, and now you do!